CBRE Global Investors has acquired Tempe Logistics Center, a 175,314-square foot industrial building located in the Southeast Valley submarket of Phoenix, Arizona, on behalf of Allstate, as part of its investment portfolio. The asset is fully leased to high-quality, investment-grade tenants. Tempe Logistics Center is centrally located with access to major arteries allowing quick distribution throughout the Phoenix metro area. It also offers easy access to Phoenix Sky Harbor International Airport and is proximate to Arizona State University and the associated amenity base, which helps tenants attract and retain employees. Located at 1524 W. 14th Street in Tempe, the property is a “last-mile” warehouse with 18- to 24-foot clear heights, automatic fire suppression, 23 dock loading doors, six grade-level doors, an over-standard parking ratio, and 130-foot truck courts, which allow for greater maneuverability and better accommodation of multiple trucks. Recent tenant improvements include the installation of full air conditioning in the office and warehouse space, a new office and kitchen buildout, and an upgraded power supply. 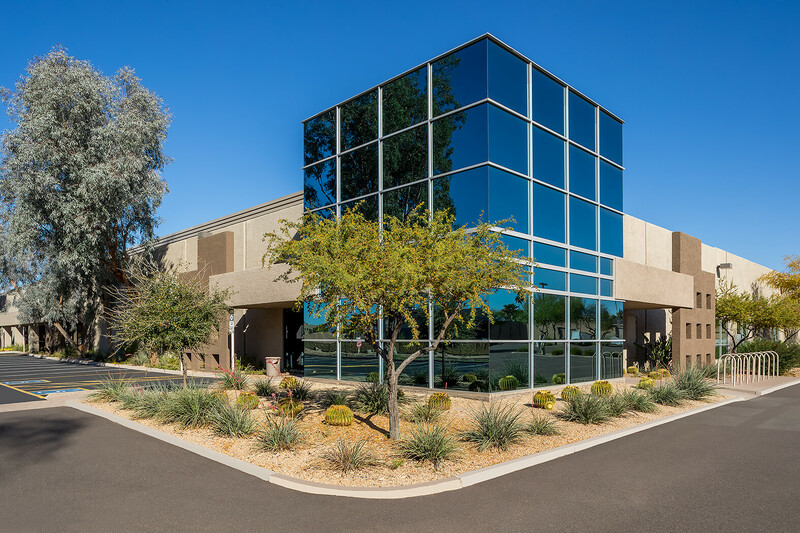 Cushman & Wakefield’s Phoenix industrial team of Will Strong; Mike Haenel; Andy Markham, SIOR; and Phil Haenel negotiated the transaction on behalf of the seller, LBA Realty.